Ratnagiri is listed among the popular tourist destination in Maharashtra holding some of the stunning beaches, historical monuments and temples. If you are planning a beach holiday and looking for an ideal destination near Mumbai, then no place can better than Ratnagiri. Some of the major attraction of Ratnagiri includes Mandavi Beach, Ganapatipule Beach, Jaigad Fort, Ratnadurg Fort and Swayambhu Ganpati temple. 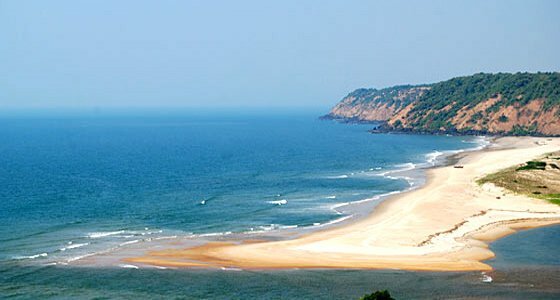 At Tour My India, we offer an exciting Ratnagiri Beach Tour that will give you an opportunity to explore the beautiful Ratnagiri city and its calm, clean and unspoiled beaches. Ratnagiri beach is favourite picnic spot for the tourists and natives. Our 2 nights and 3 days weekend tour from Mumbai to Ratnagiri beach will take you on a journey you will cherish lifetime. After breakfast visit for the beach tour of Ratnagari. Ganapatipule Beach, Mandavi Beach, Water Sport,Swayambhu Ganpati temple. The Ganapatipule Beach is clean with fine silvery white sand. The beach is not safe for swimming because it contains stretches of rocks. There is also a lagoon. The adventurous tourists can try their hands at balancing a kayak. The place is fit for the entire family to enjoy a holiday or a vacation..
A booming hot spot of tourists, Mandavi Beach is the most crowded beach in the Ratnagiri region. 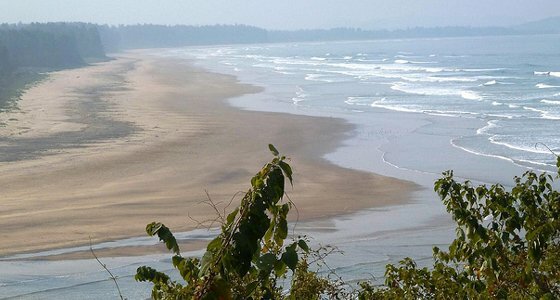 The prettiest beach in Ratnagiri, Mandavi is gifted with a vast line of seashore right up to Rajiwanda Port. This fabulous beach is surrounded by the west by the Ratnadurg fort and the majestic Arabian. The idol of Ganapati at the Swayambhu Ganpati Temple is built of pule which is nothing but white sand and is believed to be self originated - it is not man made. Another idol of Ganapati which is made of copper is placed in the Sanctum Sanctorum. It depicts the Lord astride on a lion. The Ganapatipule beach is a good place for water sports. It has a lagoon near by in the vicinity of the beach. There is a hot spot for water sports which is arranged by the MTDC. The water sports complex is closed between June and October. Tents on the beaches are also an attraction to the tourists.